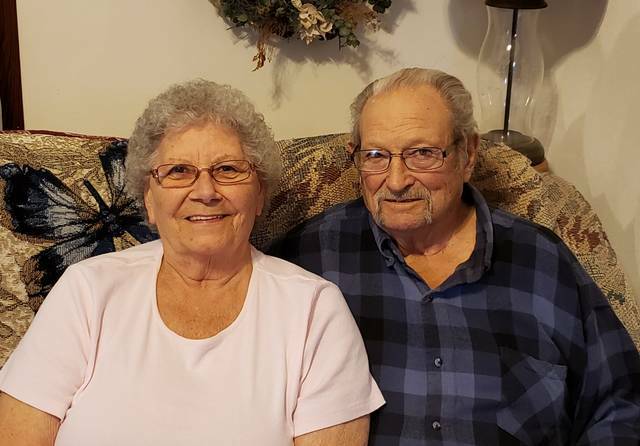 NEW PARIS — Robert and June (Arnett) Lawrence of New Paris, celebrated 65 years of marriage on Wednesday, Nov. 21. The couple wed Nov. 21, 1953, in West Manchester. They will be celebrating privately with family. The Lawrences are the parents of three sons and two daughters: Mike (Cindy) of New Paris, Bobby (Brenda) of New Madison, Donnie (Rita) of Richmond, Sharon (Steve) of New Paris and Becky (Mark) of Greenville. They have 13 grandchildren, and 31 great-grandchildren, with one on the way.